The open-top, double-decker bus will pass throughout Sydney and famous Bondi Beach, with the full loop lasting about 1.5 hours. Buses run every 15-20 minutes, with the option to include a round-trip ferry from Circular Quay to Manly, which is celebrated for its beaches and proximity to Sydney Harbour National Park. In central Sydney, pass by the iconic Sydney Opera House, admire the extensive Royal Botanic Gardens and Hyde Park, see the seat of government at Parliament House and delve into art and culture at the Australian Museum. 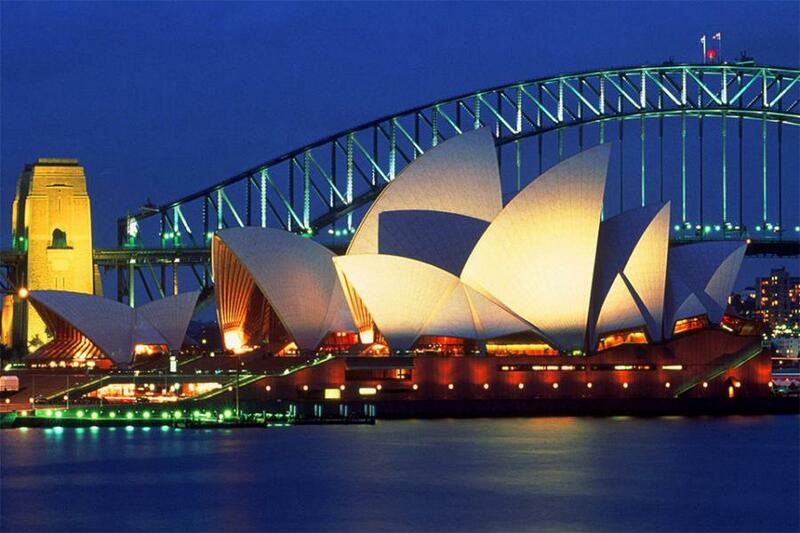 Today morning you will On-board your flight from Sydney to Gold coast. After you arrive at Gold coast airport and you will be get transferred to your hotel. Enjoy your time at own for beach activities/ or your own. Overnight at your chosen hotel in Gold Coast . Your full-day tour starts with hotel pickup in the morning. During the one-hour drive to Mt Tamborine, relax in comfort in your air-conditioned minivan as your guide shares the history of Mt Tamborine’s wine industry. Your tour includes five tastings, with the chance to sip and learn about a range of red, white and sparkling wines in a relaxed small-group setting. Your guide shares a deep knowledge about the vino you taste and the winemakers you encounter during stops at wineries such as Cedar Creek Estate, Mason Wines, Heritage Estate Wines and Witches Falls Winery. You may also visit the tasting room of a charismatic husband and wife team who brew eaux-de-vie, schnapps, vodka and other award-winning liqueurs. If time allows, stop at local cheese and fudge shops for samples of their mouth-watering treats. For lunch, dine on a delicious 2-course meal at a winery's restaurant. The menu features fresh produce, seafood, steak, pasta and other delectable dishes. After an 8-hour tour, your guide returns you to your hotel in the early evening. add Day 11: Departure flight back to your onward destination.